From Gladewater, in East Texas, Good is solo musician "Goodguy" (I can't find his real name anywhere?!?). He started out as a guitarist in the late 80's but then got into electronic music and released the first "Good" CD in 2005. DICE ROLLS: Starts out with Beck/I'm a loser'esque riffage and drum beat. The vocals are gothy gloomy. Some piano and then it starts to sound industrial. Goodguy says this song is about "quantum mechanics and how little tiny dice rolls affect our life and change our plans." ENCHANTERS TALE: Slower and more quiet than the first track. Very experimental but with melody, pleasant and atmospheric, no vocals on this one. Just when I think the song might be starting to sound samey it changes and morphs into something else. The CD includes some very nice photography/artwork. 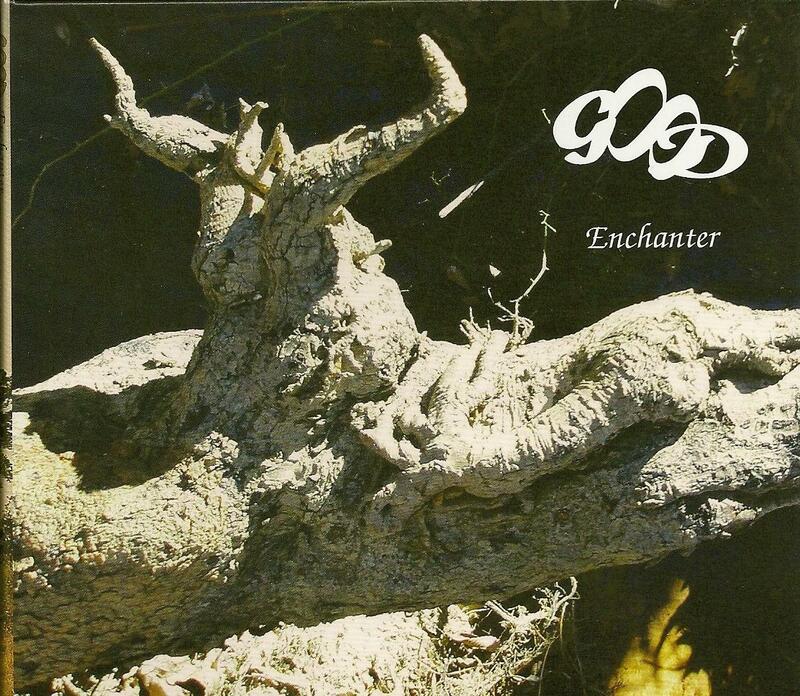 Goodguy says "The cover for Enchanter is actually a picture of an uprooted tree I saw in the pasture one day. I did almost nothing to doctor it, so you can see, the Enchanter appeared to me." TEETOTALITARIAN: More uptempo drum rhythm, some cookie monster vocals, sounds pretty cool. Says Goodguy: "It's about a despot who swears off all totalitarianism, only to go into severe withdrawal, it's bad." EXHAUST ALL RESOURCES: More of the same loveliness, gets more and more out in deep electronic space weirdness, which is a good thing! Goodguy says this song, "is about a last ditch effort to find resources after the planet has been depleted. The probe heads deep into space... the information it is sending back sounds more and more hopeless." TURBOCAPITALISM: This track is a continuation of the previous but with vocals on this one... what to say about the constant onslaught of electronic strangeness!?!? Not the most original stuff I've heard but smart and interesting, never gets boring. EMPERORS BELT: A pre-recording of some dude talking, more blips and bloops with a drumbeat. Not that interesting but not that un-interesting... "a piece of space junk will stay there forever." ALIEN RIGHTS: I wonder if people dance to this? Pretty cool, nice groove... trippy vocals. The G-man says this song is "about proprietary space conquest and ending up on the wrong side of imperialism due to technology differential." Well, my wife's dancing to it, so I guess that answers my question!! !